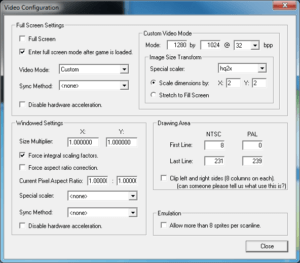 This entry is part 1 of 4 in the series Installing and Using Console Emulators. I prefer to use FCEUX for NES, SNES9x for SNES, Fusion for Genesis, and Project64 for N64. 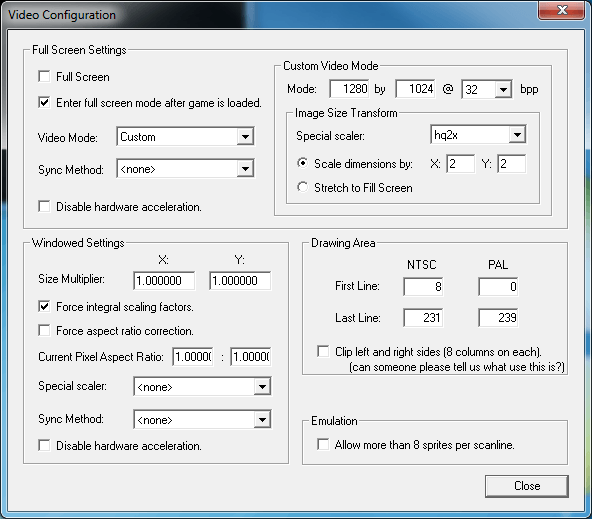 Download the latest version of each of these from an emulator site such as The Emulator Zone. Once they are downloaded, you are ready to install and configure them. Next you should set up the input configuration (Config > Input…). You can use the keyboard as your input device, but I highly recommend a gamepad. I use Logitech gamepads, but any gamepad compatible with Windows should work just fine. To setup two controllers, you’ll need to click the Configure button for Port 1 and Port 2, then assign your gamepad’s buttons to the virtual gamepads in FCEUX. 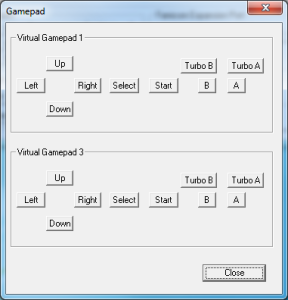 You only need to assign the top virtual gamepad in the Gamepad configuration window (Virtual Gamepad 1 for Port 1, and Virtual Gamepad 2 for Port 2). To assign a button, use your mouse to click on the virtual button, then press the button on your gamepad that you want to associate with the virtual button. Do this for all buttons in the virtual gamepad. 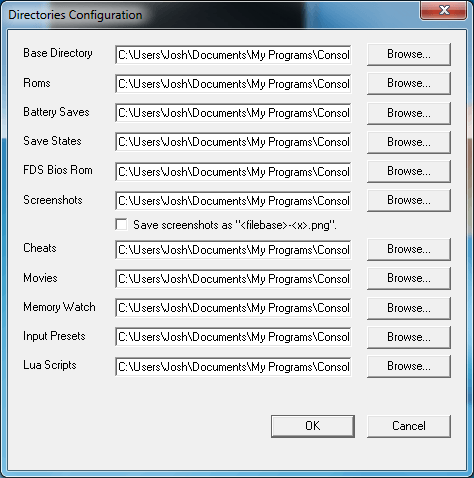 Finally, you’ll want to set up the directories configuration (Config > Directories…). This tells the program where to look for ROMs and where to put save states, screenshots, etc. At a minimum, set up your Roms directory by clicking the Browse button and browsing to the folder where you keep your NES ROMs. I leave all other settings at their default values; however, feel free to experiment with the other settings available. 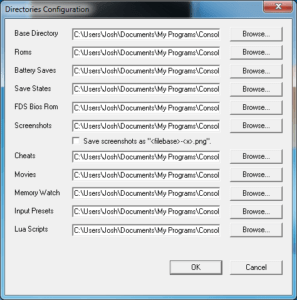 The program has a decent Help file to get you started with your first ROM as well as short explanations of the other functions in the program. I read your post on Organize Series. This post was given as an example of it being used. I’ve been using Organize Series for years, but some of my series have grown quite large. I get the table of contents box at the beginning of the post. On some series, it covers the entire window. Users do not need it until the end of the post and it is much more out of the way there. How did you move it? I asked this question on WP forums and it was closed without answers. In the Organize Series Settings, under the Template Tag Settings section, you just move the %postcontent% to the beginning of the Series Post List Template setting. That will move the output of Organize Series to the end of your post.